It’s no surprise that award-winning jewelry designer Pippa Small spent her childhood traveling with her family, as exploring the world still plays an essential role in her current work. 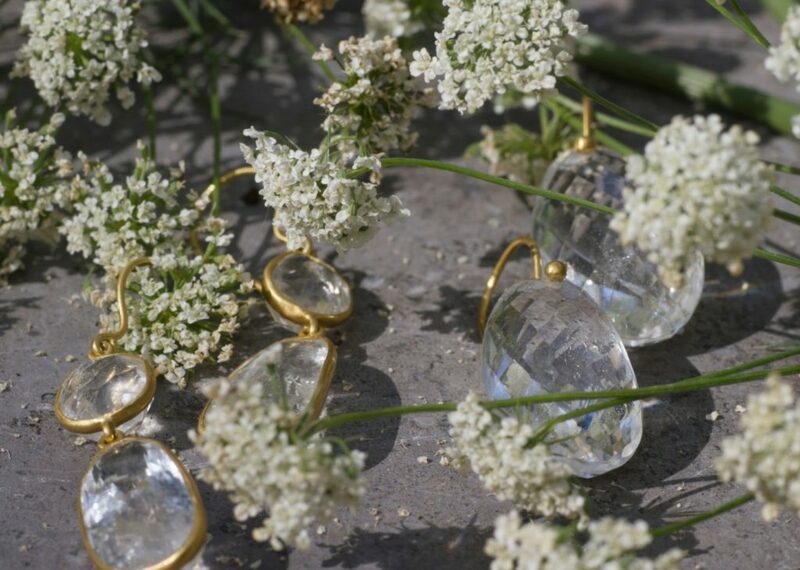 Her love of stones, travel, and anthropology comes to an apex in her coveted jewelry designs. By working with communities in Burma, Romania, and Afghanistan, Pippa seeks to honor the stone’s origin and support talented artists in sometimes unstable environments. Now based in Notting Hill, Pippa recognizes flaws within the industry and seeks to rectify them through transparency in her own process. Taking responsibility, she seeks out and works with Fair Trade mines. She earned a masters degree in medical anthropology, and has never been formally trained in jewelry making. However her personal style and interest in historic and emotional symbols shines through in the asymmetrical shapes, handmade settings, and celebration of what might normally be perceived as imperfection.